VoipCheap | VoipCheap USA | VoiCheap Download | VoipCheap iPhone | Free Pc to Phone Calls, Free Voip Calls to India International ! Its been quite sometime we have discussed about any betamax voip provider. Few years back, only betamax voip providers offered cheaper calls and every other voip provider was costly. The trend has changed now, however many betamax voip providers like Jumblo, VoipCheap are still widely used. Today we will look at VoipCheap (voipcheap.com) and not the UK one. 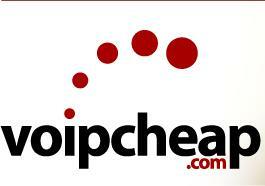 VoipCheap offers free calls to many destinations. The free calls thing works only when you have purchased credit using VoipCheap. In simple words, you just need to buy some credit from VoipCheap and then you can enjoy free calls to many destinations. The credit you purchased can be used to call countries which are not free destinations. Free Calls are available for users with Freedays. This is available to max of 300 minutes per week, measured over the last 7 days and per unique IP address. Unused free minutes cannot be taken to the following week(s). If limit is exceeded the normal rates apply. With your freedays you can call for free to all the destinations listed as free! when you have no FREE DAYS left the normal rates apply. You can get extra Freedays by buying credit. Buying credit entitles you to 90 Freedays (unless stated otherwise). This means you can call all countries marked as "Free" in the rates list for a period of 90 days at no costs. When the 90 days are over, the normal rate will be charged for these destinations. You can get more Freedays by topping up your account with credit. 1. Make PC to Phone Calls. Download VoipCheap Pc Application. 2. Use a SIP Device to make calls. Make Mobile to mobile calls. 3. Use VoipCheap iPhone Application. If you facing any problems with VoipCheap, please post a comment. We will be happy to help you out!